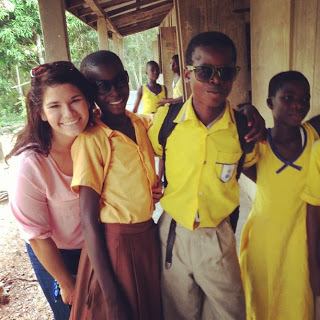 Over the summer I went to Accra, Ghana, Africa with Global Medical Brigades. We set up a medical clinic in a village of 800. We provided diagnosing and treatment under the supervision of doctors, along with OBGYN, Dental and Pharmaceutical services. We also provided public health services for preventative services. The village gave us more in personal experience than we could give back medically. I was thrown into a culture that I didn’t understand, and came back with a deeper meaning of what it was to live in a third-world country. We got to tour the Gate of No Return, a touching and heart wrenching experience. I also got to touch a live wild African Crocodile! It was truly the highlight of my life, and I can’t wait to see where Global Medical Brigades takes me next year!